The Dodge Viper was conceived as a futuristic interpretation of a classic American muscle car. 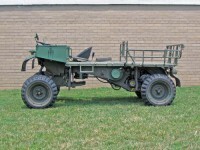 During the development stage, it was decided to utilize Lamborghini, then a Chrysler subsidiary, to cast a prototype aluminum V10 engine based on their truck drivetrain and modify it for performance car use. 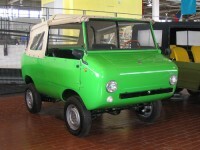 In 1977, as a hobby, Mr. Duport built a prototype, a Microcar powered by a Lombardini 510cc diesel engine. 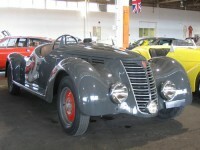 The car was well constructed, although the only part made by Duport was the chassis. 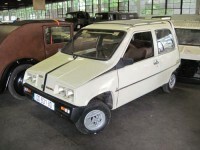 Almost as a hobby, in 1977 Guy Duport built a prototype, first-of-its-kind diesel-powered microcar. 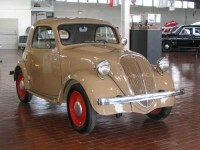 It was a small car with a plastic body and 2 doors, equipped with a 510cc (about 31 cu. in.) Lombardini diesel engine. According to Duport, that 10HP engine assured 3,500 hours of operation, allowing it to travel potentially more than 62,000 miles. Buckminster Fuller had a long and productive career. He was a visionary that worked in many fields, from the environment to architecture. 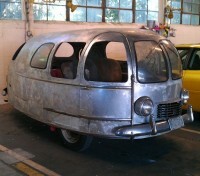 The Dymaxion, which is an acronym for DYnamic MAXimum TensION, was his most famous automotive project. 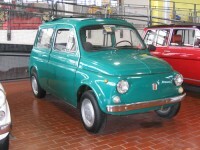 The Elcar was a small electric car produced by the famous Italian design and coachbuilding company, Zagato. Known for designs such as the Ferrari 250 GT, Alfa Romeo TZ3 Stradale, and Aston Martin DB7 Zagato, the Zele, as it was known in Europe, was quite a departure. Anton F. Erickson built this streamlined car in his garage in Dayton, Ohio in the late 1940s.